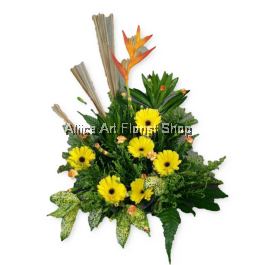 Flower baskets are another great choice to convey wishes of love and joy. 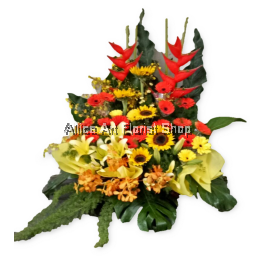 Without a doubt, they are amazing gift for almost any vacation. 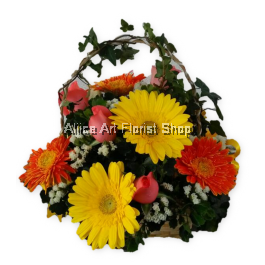 Apart from being a gift, flower baskets can be used as a seasonal centerpiece to make the surrounding more lively and inviting. 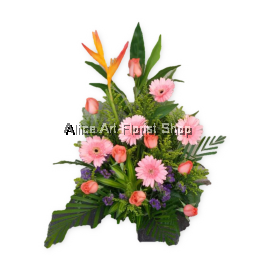 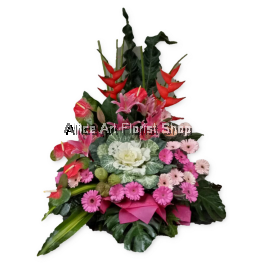 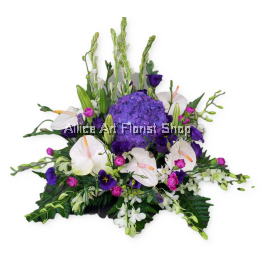 Flower baskets from Aliice Art Florist Shop are exquisitely crafted with only the freshest and finest quality blossoms. 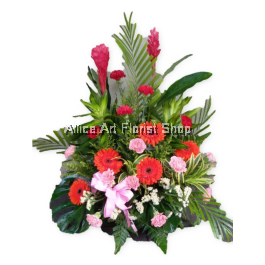 We offer a diverse array of flower baskets for all kind of purposes. 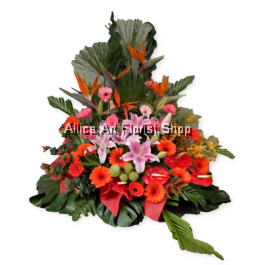 Our flower basket can be presented in either trendy or traditional style, making a special occasion even more memorable. 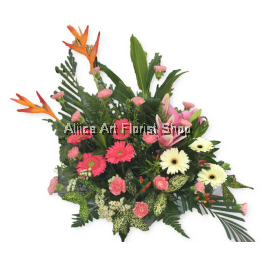 Enhanced with lush greenery and decorative items, our flower baskets are sure to impress everyone. 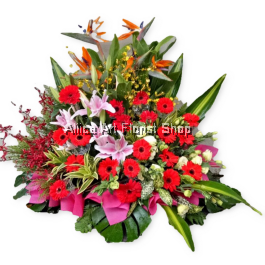 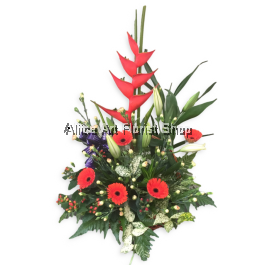 Every order will be handled professionally by our highly skilled florists. 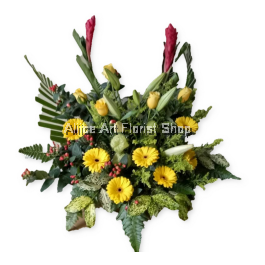 With years of experience in flower arrangement, our florists have the creativity and expertise to help you create a distinctive yet meaningful gift for your upcoming event, creating the moments of joys whenever your loved ones received it. 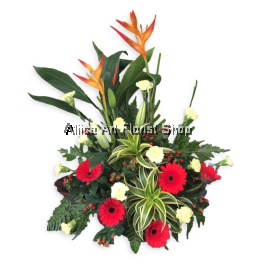 Best of all, they are available at competitive prices without compromising on quality. 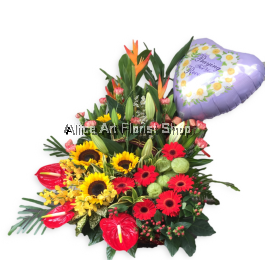 Are you in need of a flower basket delivery service in Klang Valley, Malaysia? 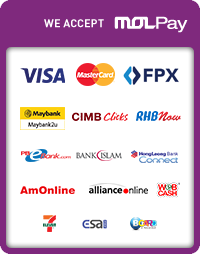 No worries, we are here for you. 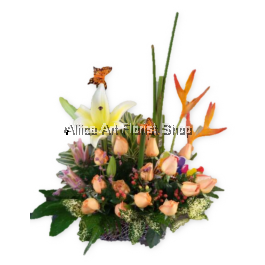 We provide flower basket delivery services within Klang Valley, Malaysia that give you total peace of mind.